Our exclusive coverage is your first look at new cultivars coming to Canadian garden centres this spring. Plant breeders are finding ingenious ways to improve offerings, and delight gardeners. In trials, Pomegranate Punch calibrachoa exhibited superb heat tolerance, disease resistance and large blooms. Flowers are rich, velvety red with a black eye. A mounding, trailer. Self-cleaning, best in full sun. Grows 15-25 cm (6-10 in.) tall and up to 60 cm (24 in.) wide. The debut of Cha-Ching Cherry petunia continues the plant breeder’s pursuit of high-impact, novelty-coloured petunias with mass appeal. Its bicolour striping of rich wines, pinks and creams offers a modern flower array for today’s decor-minded gardener and landscape designer. Makes stunning hanging baskets, and shows equally well in mixed containers. Grows 25-40 cm (10-16 in.) tall and 40-50 cm (16-20 in.) wide. White KnightTM has the same continuous masses of white flowers and fragrance as Snow Princess®, but with half the vigour, so it makes a better companion in container plantings. It will look the same as Snow Princess on the retail bench, but will grow more slowly once planted in the garden or container. Full sun to partial shade, 15 cm (6 in.) tall and trailing up to 60 cm (24 in.). Supertunias® are self-cleaning, heat tolerant bloomers. Flamingo has bright, sugary-pink flowers. Fertilize in containers all summer, and prune back in July for best results. Thrives in full sun. Grows 20-40 cm (8-16 in.) tall and spread 45-60 cm (18-24 in.) wide. Divine New Guinea impatiens establish quickly in shade landscapes. It delivers great colour mix options, superior performance and high resistance to impatiens downy mildew. Plants are uniform, well branched and filled with big blooms for lush landscapes, hanging baskets and containers. Provides strong garden performance and showy displays all season. Foliage ranges from green to bronze-green, providing a good contrast with the blooms. New colours for 2014 include Burgundy (shown), Blue Pearl, Scarlet Bronze Leaf, and White Blush. Grows 25-36 cm (10-14 in.) tall and 30-36 cm (12-14in.) wide. The leaves of the new Kong Jr. series of coleus are 30 per cent smaller than its predecessor Kong. The plants are now easier to transport with less breakage and loss. Kong Jr. is a great shade option with landscape longevity. Grows 45-60 cm (18-24 in.) tall and 50-90 cm (20-35 in.) wide. Available in four colours: Green Halo (pictured), Lime Vein, Rose, and Scarlet. Because it can grow in full shade, Torenia is an alternative to impatiens. Torenia is a mounding spreader that does well in garden beds or containers. Grape-O-Licious has light purple flowers with a deep purple eye. Flowers are small, but prolific. Attracts hummingbirds. Grows 25-30 cm (10-12 in.) and spreads 35-60 cm (14-24 in.) wide. tall and 45-55 cm (18-22 in.) wide. Arresting colour meets disease resistance with the Zahara series of zinnia from PanAmerican Seed. It’s a breeding breakthrough; Sunburst is the first gold/red bicolour of its kind. As the plant matures, a pretty star pattern appears on each bloom. With 20 per cent larger flowers that means more colour. Sunburst is a Fleuroselect Gold Medal Winner. Grows 30-45 cm (12-18 in.) tall and 30-45 cm (12-18 in.) wide. This new rose provides masses of bi-colour blooms in hot and pale pink from late spring through to late fall. Flowers are small to medium, 5-6 cm (2-2.5 in.) in diameter. More compact than the original Flower Carpet® Pink, the breeder says it is a genuinely easy-care groundcover rose, bred for home garden and commercial use. Grows to 75 cm (30 in.) tall. Big, informal mango-honey coloured flowers in huge numbers sit above the foliage. Flowers have a sweet scent. ‘Big Kahuna’ has a sturdy upright habit, strong stems and a unique colour, adding up to a tropical treat. Grows 68 cm (27 in.) tall and 53 cm (21 in.) wide. Heuchera ‘Blondie’ is part of the Little Cutie series of Coral Bells. This is a terrific choice for adding colour to a partly sunny bed. Leaves are caramel and creamy yellow flower spikes add interest over a long season. These compact Heucheras are also great in containers. Protect from hot afternoon sun. Hardy to Zone 4.
in rock gardens or the front of the border. Hardy to Zone 4. Heuchera ‘Sweet Tart’ is part of the Little CutieTM series of coral bells. It features bright, lime-green leaves with stems of cerise and pale pink bell flower sprays appearing and late spring and lasting until fall. This compact selection is great in containers, in rock gardens or the front of the border. Hardy to Zone 4. ‘Cat’s Meow’ is a tidy, dense catmint, with sky blue flowers from summer into early fall. It is low maintenance, drought tolerant, deer resistant and long blooming — a powerhouse perennial. Full sun. 43-59 cm (17-20 in.) tall and 60-65 cm (24-26 in.) wide. Hardy to Zone 4. Creamy pink buds open to very large 17-20 cm (7-8 in.) white flowers with magenta-tipped ruffled petals and magenta veining radiating out from a cherry red eye. Relatively compact, well-branched, rounded habit with dark green foliage. Grows 1.2-1.5 m (4-5 ft.) tall. Spring brings a bird-of-paradise effect as the new leaves unfurl dramatically. Summer sees leaves with a deep glossy green surface and velvety royal purple underside. Spectacular colours in the fall. Regal Petticoat® is tar spot-resistant, salt tolerant and thrives in calciferous soil. Grows 12 m (40 ft.) tall and 9 m (30 ft.) wide. Hardy to Zone 4. A unique, compact boxwood that has variegated green, lime and gold glossy foliage. The colour holds through the summer and winter months. Can be used in formal gardens as hedging or as an accent plant in any landscape. and cranberry-violet blooms that start more than a month earlier than others. Hardy to Zone 5, it grows in full sun or partial shade and will reach over 3 m (10 ft.) in length. This beauty blooms on old and new growth, constantly pushing out new flower heads measuring 6 - 12.5 cm (3.5 to 5 in.) across. Intense rose-pink, violet or blue flower heads on striking red-purple stems. BloomStruck has remarkable heat tolerance, too. When other mophead hydrangeas wilt in summer heat, BloomStruck doesn’t flag. 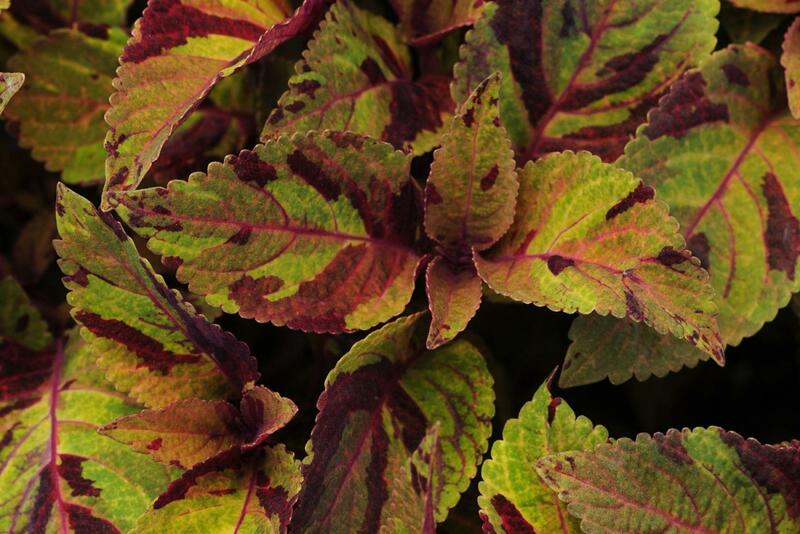 In the fall, the leaves take on a deep burgundy color, extending this plant’s appeal. Grows 1.2 m (4 ft.) tall and 1.5 m (5 ft.) wide. Hardy to Zone 4. Fire Light™ hydrangea is the new standard for hardy hydrangeas. Upright panicles are packed with florets which transform from pure white to rich pomegranate-pink. Its thick, sturdy stems look great in a container, as well as the garden. Hardy to Zone 4, it will grow 1.4-1.8m (4.5-6 ft.) tall and wide, and adapts to full sun or partial shade. (3-4 ft.) tall and wide. Best in full sun. Hardy to Zone 4.